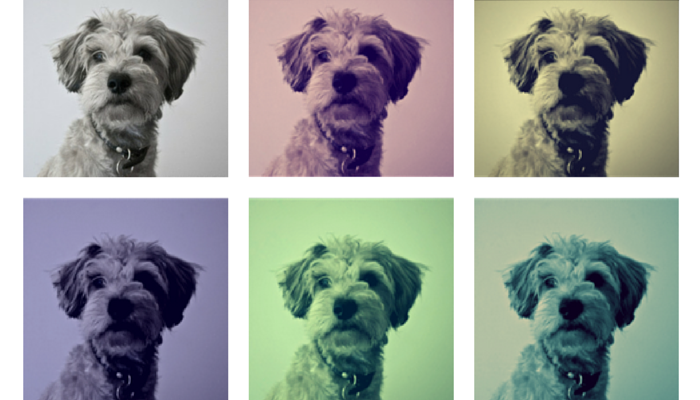 Would you clone your dog? I love the idea of having our pets live longer, because if there’s one thing we all agree on it’s that their lifespans are far too short. Instead of saying goodbye in the traditional way some dog owners are opting to clone their beloved companions. For $100,000 there’s a lab in South Korea that will clone your dog. They claim to be able to prolong the companionship you’ve had with your dog by providing you with a cloned version. But after hearing about a bull named Chance and the difficulties his owners had with his clone I have my doubts. 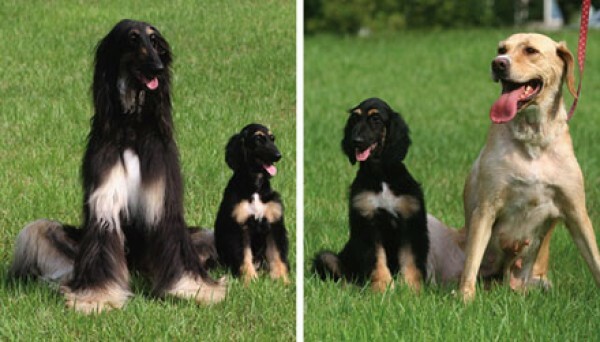 In 2005 the Sooam Biotech Research Foundation in South Korea gained international acclaim for cloning the world’s first dog – an Afghan Hound named Snuppy. Time Magazine named Snuppy the world’s most important invention of the year 2005. Dogs have some complicated reproductive traits which makes the species difficult to clone. Their ovulation cycles are irregular and the eggs are in the mature state optimal for cloning for only a few hours. 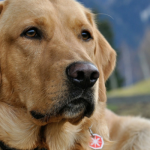 Snuppy was cloned with a Labrador surrogate after 123 attempts. The researchers at Sooam used the same technique, nuclear transfer cloning, that was used to clone the world’s first adult mammal – Dolly the sheep in 1996. First they remove cells from the dog they’re cloning and extract the nucleus of those cells. Then they take donor cells and replace their nucleus with the extracted nucleus from the dog they’re cloning. The cells are then given an electric shock to wake them back up and promote cell division. The developing embryo is then placed inside a surrogate mother. It took 434 attempts before researchers were able to clone Dolly the sheep – and she only lived 6 years. She was euthanized on February 14 2003 because she was suffering from progressive lung disease and severe arthritis. In 1996 the success rate of cloning a developed organism to full term after being placed inside the uterus of a female mammal were roughly 2%. Over the past decade Sooam has increased the rate to 30%. Despite the advances in the nuclear transfer cloning technique many scientists have abandoned the practice due to it’s low success rate. Sooam started offering their nuclear transfer cloning service for US pet owners a few years back; in 2012 they delivered 12 cloned puppies to US clients. They’re now expanding their services to the United Kingdom. In February the first British couple picked up their cloned puppies from Sooam labs. Insung Hwang, one of the researchers at Sooam, admits the procedure does come with a fair share of risks. Some dogs are born unhealthy but the lab will recreate the whole process until they produce a healthy pup for the client. For $100,000 you can pay to have the team at Sooam clone your dog. Although you’re not getting your old dog back you will get a dog that should look just like your old dog. Hwang says the dog will likely have the same temperament as well, though some experts disagree. Researchers at the National Veterinary Institute at the Technical University of Denmark aren’t convinced that cloning is producing identical mammals. They’ve found that cloned pigs are just as genetically varied as normally bred pigs. Sooam is expanding their cloning research beyond dogs – in 2012 they signed a deal with Russian scientists to try and clone a wooly mammoth. The founder of the Sooam facility Woo Suk Hwang (no relation to Insung Hwang) has been accused of falsifying documents on his research into human embryo cloning. He was found to have falsely claimed he created stem cells from a patients skin cells. It was later discovered that he had collected human eggs from the female members of his research team. Despite public outcry he was able to raise $3.5 million to start Sooam in 2006. He was expelled from Seoul National University where he had been conducting the research and is still facing criminal charges. He’s currently on a suspended prison sentence for the charges related to faked research. Sooam has cloned over 400 pets since since they opened in 2006. They offer their dog cloning service to anyone whose willing to pay $100,000. Currently cloning at Sooam can only be performed by live cells which means the cells must be taken from a living dog or from a dog within 5 days of it’s death. Cells are collected from the donor dog through a biopsy and they’re sent off to the lab where they’ll create a cloned pup for you. If you’re considering cloning your dog I suggest researching the topic further. The process itself will be handled by the Lab, but the results might not be what you were expecting. If By Chance We Meet Again – This is the amazing story of one families experience with cloning their bull. They decided to clone their bull Chance because he had such a great personality – the clone they ended up with, second Chance, didn’t quite live up to his predecessor’s legacy. 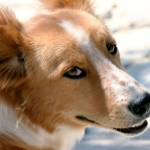 My Friend Again – This is a website ran by a man whose had 2 dogs cloned by the Sooam research lab. He started the site to share his experience with the whole process. They offer advice and information including how to save your dogs cells now if you’re thinking about cloning in the future. For $100,000 You Can Clone Your Dog – Bloomberg Business week takes an inside look at Sooam lab in South Korea – the world’s first animal cloning factory. 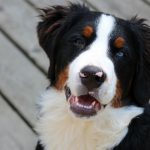 Would you clone your dog? There’s a lab in South Korea will clone yours for $100,000. If money weren’t an issue would you clone your dog? Do you think it helps ease the loss of a beloved companion? I don’t see myself cloning Laika, I love her dearly but I don’t think cloning her would help the feeling of loss. I might end up with a dog that looks just like her, with the same tongue spots and all, but I’d know it wasn’t her, and she wouldn’t have any clue who I am. I’d have my memories of Laika but my new cloned pup would hold none. There’s only one Laika – and she can never be replaced. This post was originally published in December, 2014. It’s been updated to include further details into the cloning process & resources for people considering cloning their pet. 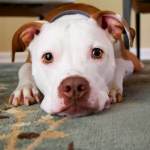 Dog Emotions – Do Dogs Have Feelings? I wouldn’t do it for many many reasons. Even if they could guarantee a healthy dog with a long life expectancy and pet overpopulation wasn’t a problem. It would not be fair to the cloned dog. If someone pays that much money, they want their old dog back. Even if a dog looks the same and has a similar temperament, that won’t be the same dog with the memories and quirks that the first dog had. I think ultimately the person and dog would be shortchanged in the relationship. I absolutely agree. It’s nice in theory but you can’t simply replace a companion you lived with for so long. Regardless of how similar they may be your memories are going to be completely one sided. If you have a chance you should listen to the “If By Chance We Meet Again” segment I linked from This American Life – it illustrates your point perfectly. I highly recommend John Woestendiek’s book Dog Inc. I used to joke about cloning my heartdog Lucy. After reading that book, it just wasn’t funny any more. No, I would not consider cloning any of my pets because it is not the DNA that I love or am bonded to… it is their spirit. This was an extremely interesting post. I have to say I would not clone my dogs. Just because even though they may look the same, and possibly act the same, it just would be them….I don’t think I could do it. Plus with the risks involved,…eek! I wouldn’t clone my dog even if I could afford it. To me, dogs are unique and I would always be looking for traits of the original dog in the cloned dog and it would diminish the bond and relationship I had with the first dog. To me, some things are just not replaceable. It’s all very interesting, yet also disturbing to me. As some others have said, I read John Woestendiek’s book “Dog Inc.” I also recommend it for anyone interested in learning more about cloning animals in general, especially dogs. From that book, I learned that so many of these animals, dogs included, are kept for more research after they are cloned, along with the actual clones. They just have to go through so much and I feel bad for them. They do not get to live normal lives, and some of the clones end up very unhealthy. So, no, I would never have a pet cloned. I just don’t think you can duplicate a living thing to match the original. Also, you miss the joy of knowing a new pet. I had thought about it. Not that I have $100,000 to spend, but if I did, the thought of being without Sampson is paralyzing to me. But a new dog wouldn’t BE Sampson, he would only look like Sampson. He probably wouldn’t have Sampson’s personality and he definitely wouldn’t have Sampson’s soul. I also think I might have issue with the dog that is being used as a surrogate. I think I would be opposed to a dog being used in that manner. I think that’s the most heartbreaking part of cloning a beloved pet – they’ll look exactly the same, but they won’t share any of the memories you had with the original. And when it comes to their temperament unfortunately often times they end up being quite different. I imagine it ends up being much different than owners were expecting. I agree with your comment that your Laika can never be replaced. We have three dogs full of funny, quirky and endearing traits and unique personalities. I almost feel as though cloning them would be disrespectful; they are, as you say, irreplaceable. Better to build new memories and start fresh, I feel, than to try and “reproduce” a loved one. No. This is not okay, not to the dog and not to the owner. You can not substitute your dog once you lose it, it is not even okay to try and do that.. If your deceased dog could see what you are doing what would he think? You “replaced” her/him? With a replica? There is no replica replacement, you dont even get to try and find a similar dog, it is not okay. If you wish another dog, get another dog but because you wish for another dog, not the same one. The one that is gone now has been with you through good and bad, he loved you, you cant clone that. And not ot mention these poor dogs who are born with defects 🙁 that is horrible.. If I wanted a successor of my dog I would breed it with a similar dog and had its child naturally, it wouldnt be the same dog but that is okay. Love and memories cant be replaced, not to mention the pain of looking at the same exact dog but he/she doesnt share the same emotion when it looks at you. Now you have to teach it all over again and big chances are that the dog is going to develop in some other way than the pervious one.